The first thing is that it is the biggest. BlogWorld was born before Social Media became the de facto term for the new media revolution. That’s why the event is called BlogWorld & New Media Expo. Most people didn’t even know what blogs were when we announced the event in 2006 and no one had ever heard of Twitter. BlogWorld is about content first and foremost. Content creators, not marketers, are our primary audience and our goal is to help them create, distribute and monetize their content no matter what form that may be; audio, video, still photos or text. Marketers are our secondary audience. We think educating them about new media, teaching them how to create their own content, how to interact with bloggers, advertise and communicate with their customers using new media creates more opportunities for content creators. How do you choose topics/seminars to provide unique workshops without being overly generic? This is by far the hardest thing we do. Originally BlogWorld was built for me so the topics in the conference were all questions I wanted answered as a blogger who also wanted to begin creating audio and video. The largest part of the conference really remains that way. We develop sessions we would want to go to ourselves. Our new Conference Director Deb Ng has attended every BlogWorld as a speaker, attendee and sponsor so she has control over those sessions and they are really built to address the questions she has with her own blogs. Of course we ask our community what they want to know. Over the last few years we have learned so much more about the intersection of PR, marketing and advertising and how it relates to new media that we created Social Media Business Summit. The Social Media Business Summit is a conference within a conference that we developed specifically for marketing, communication and business executives to teach them how to use these social media tools, but all from a content creators perspective. First we ask those professionals what questions they need answered, then we curate those questions and turn it into real content they can walk away from the event and use the next day in their business. We also live this stuff every day creating content for our own blog, doing our radio show, engaging our community on Twitter, Facebook, LinkedIn and whatever comes along, and we will soon be launching BlogWorld.TV. Every day we either come across our own questions or members of our community ask “how do I do that?” And that develops into a session at the show. Honestly the hardest part is turning down hundreds of amazing session ideas from our community. Our industry is so all-encompassing it is literally impossible to cover every topic that everyone wants to know. What topics are typically the most popular? How long have you been using the interactive schedule and why did you start? The most popular sessions are always monetization for the content creators, measuring ROI and basic social media education for the marketers. We started using Sched.org last year. Marvin and his team over there are fantastic. They actually created this on their own to manage their personal SXSW schedules a couple of years ago. They shared it with some friends and everyone loved it so much they turned it in to a business. They are constantly adding new functionality and we give them feedback all the time about how to make it more useful to our attendees, exhibitors and in managing the event. What’s your advice on attending conferences with so many seminars that one would want to attend but can’t see them all? Plan ahead of time but it’s okay to double book some sessions in advance and then make up your mind on those conflicts at the show. You may attend a session earlier in the day that convinces you that one session is more important than the other. This year we will have all the sessions archived so for a small additional fee attendees can access every session on demand for up to a year after the show. What type of planning goes into creating the conference? How much post conference work do you do? When do you start planning the next event? I’ll answer the last question first. We are planning next year’s conference now. This is a year round job for several people now. My partner Dave Cynkin works on marketing and overall planning with me. Deb and I work on the conference content, Patti and Chris working on sales, Nikki helps Dave with Marketing and is our Editor In Chief of the blog. We also sub out quite a bit of the conference operational stuff but we are planning to bring that in house after this year’s show and add a full time show manager to the team. We have more than a hundred people working on-site in several different aspects of the show. The AV, the labor, signage, the hotel, the food and beverage, the evening events, electrical, internet, registration, and all sorts of other stuff you would never think of if you weren’t organizing an event. The day after the event we have what’s called a Post Show Analysis or PSA. We all get together and go over every item line by line, there are literally hundreds of items on this list and everyone’s opinion is welcome. Did this thing work right? Did we fail somehow? Is there something we can do better? We take detailed notes during the meeting and compile that into a document with PSA recommendations on how to improve the next show. We also maintain all year long what we call “the running PSA” to jot down anything we think we can improve as it happens and we review that with the group and compare the notes. That all goes into the final document. We send out surveys to the attendees and exhibitors and thank you notes to everyone we can. I’d like to thank Rick for taking the time to be a Coffee Talk guest. As always, if you have any additional questions or comments for him please post them below and we’ll see if he can spare a few more minutes for answers. Rick Calvert is the CEO and Co-Founder of BlogWorld & New Media Expo. The worlds largest social media event. 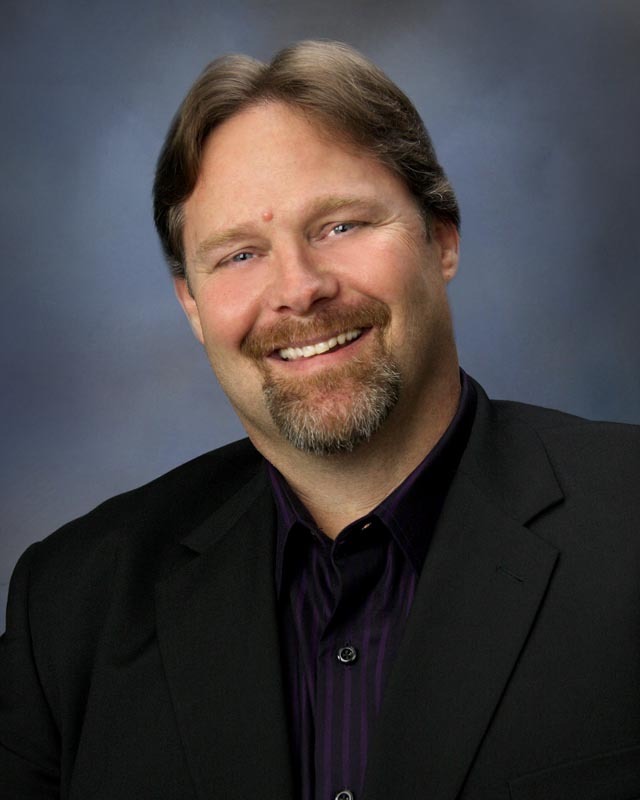 He has been active in the trade show industry since 1997 serving as Director of Sales for three Tradeshow Week 200 events including the SEMA Show, AWFS®Vegas and the DEMA Show, as well as one of the nation’s largest consumer shows, Comicon. He has been a voracious new media consumer since 2000 and launched his own blog in 2005. He founded BlogWorld & New Media Expo with his partner Dave Cynkin in October of 2006. He lives in Canyon Lake California with his wife and two dogs Thor and Abbey.